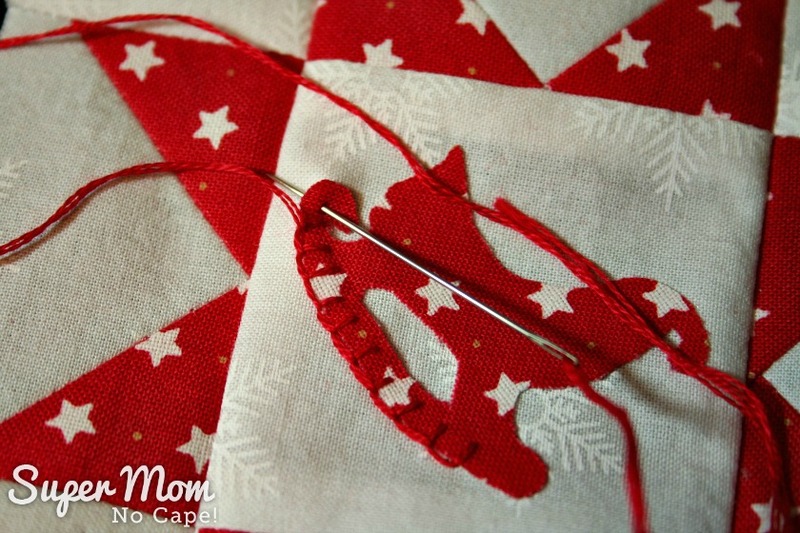 I can’t wait to share with you the Sawtooth Star Ornament with Applique Center that I made for my partner. This year, there are 47 amazing bloggers participating in the exchange. The rules of the challenge were simple: be partnered with a fellow blogger, create a handmade ornament for $15 or under, create a tutorial, and ship the ornament off to a new home! I was paired with the very sweet Nicki over at Sweet Parrish Place. Nicki says her style is eclectic, modern yet polished casual which I think describes it perfectly. And while her taste trends to the more modern for every day… when it comes to Christmas she prefers the traditional colors of red and green to decorate her home. 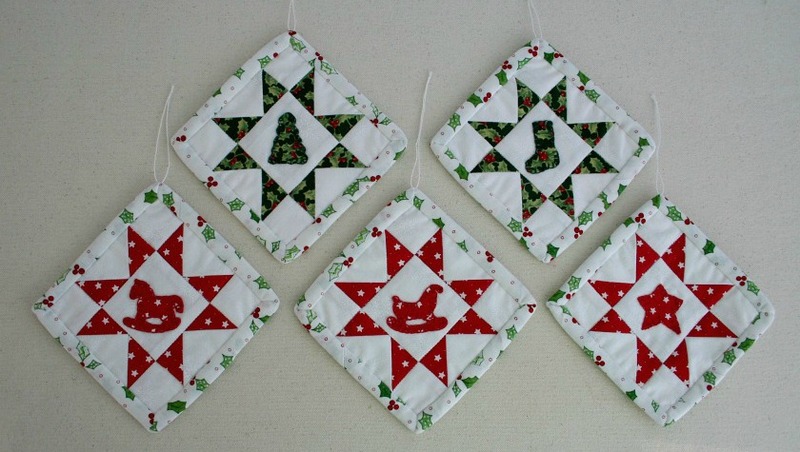 What could be more traditional than a Christmas quilt, done in miniature! I’ll get to the tutorial in a minute but first I want to introduce you to the other bloggers taking part in this year’s ornament exchange. You’re going to want to visit each and every one to gather ideas for ornaments to make this year… whether it’s for an ornament exchange you’re taking part in, to decorate your tree or to give as gifts. 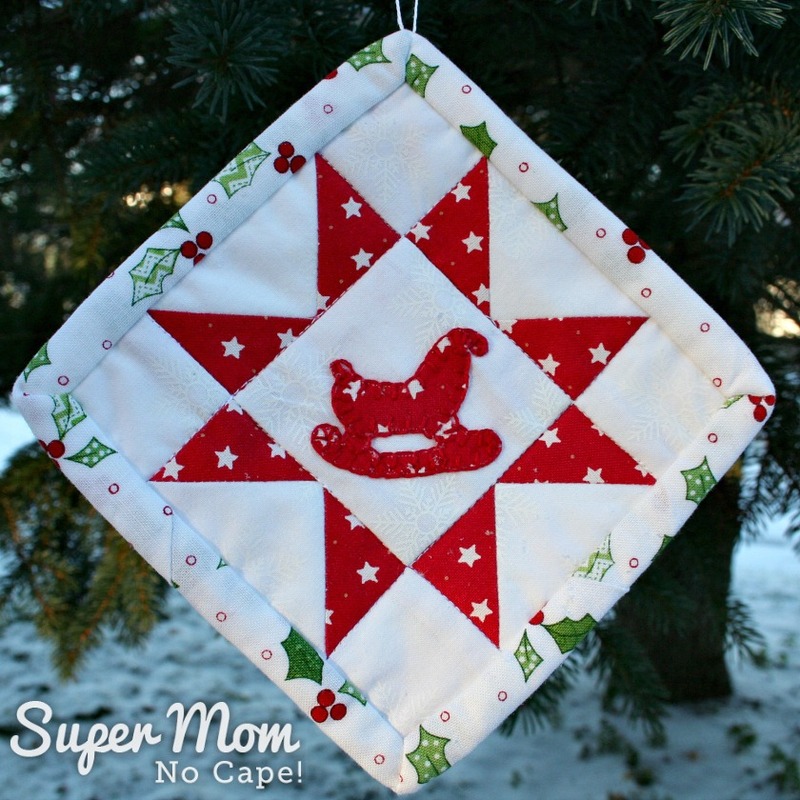 Now let’s get to the Sawtooth Star Ornament with Applique Center Tutorial! 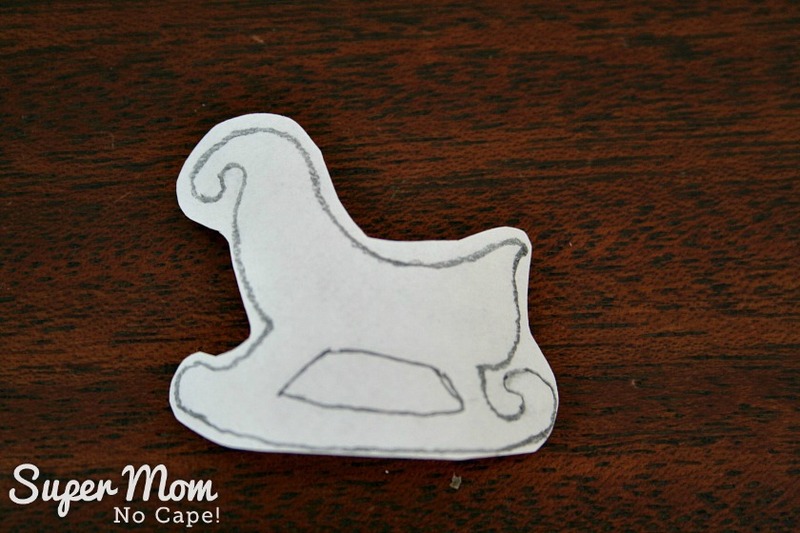 I had so much fun coming up with the design for Nicki’s ornament! 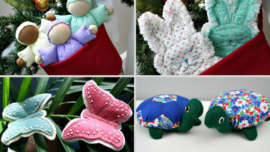 While emailing back and forth, she mentioned that she doesn’t sew, which was perfect for me because I knew if I sewed an ornament for her, it would be a unique gift; something that she wouldn’t have made for herself. 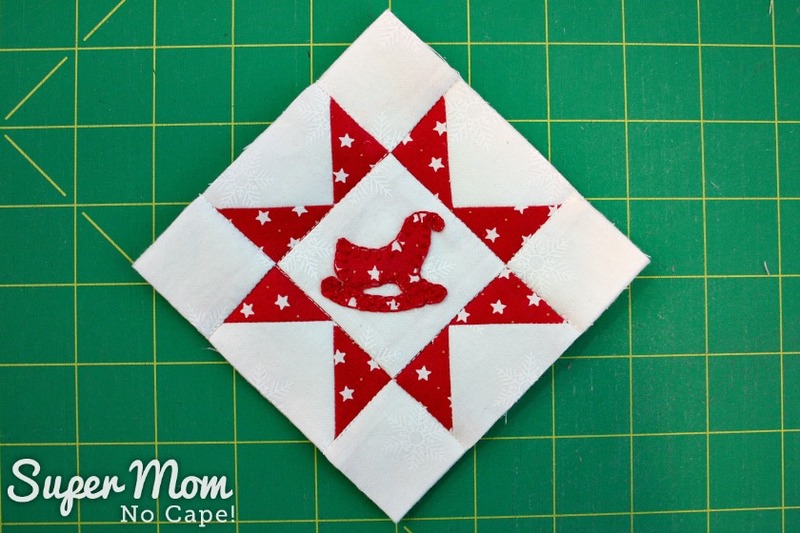 I played around with a few ideas before settling on a quilted star ornament. The design goes by several different names… Sawtooth Star, Evening Star, Morning Star and perhaps even more. And then to make it truly unique I added a cute applique to the center. 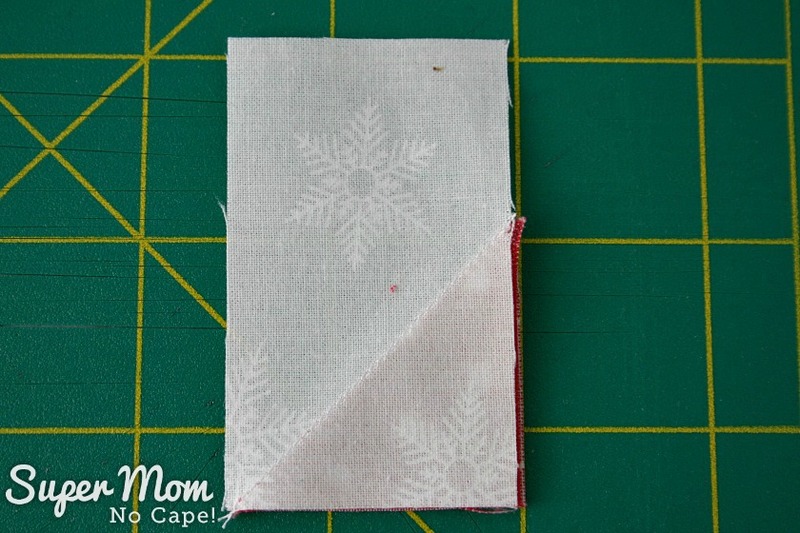 The ornament finishes at just 4½” square including the binding. 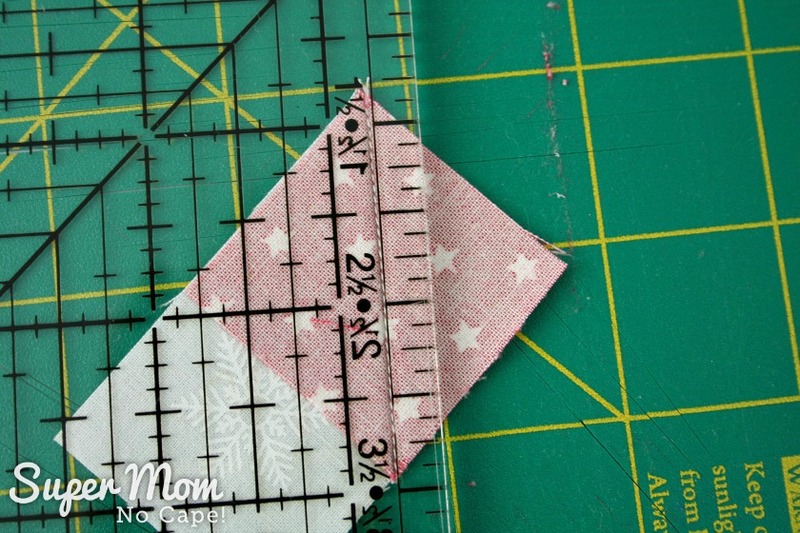 The center block finishes at 2″ square…so that sleigh is tiny! In the tutorial, you’ll see the sleigh but there’s also a rocking horse, a stocking, a tree and a star. They will all be included in the downloadable pdf that can be accessed at the bottom of this post. 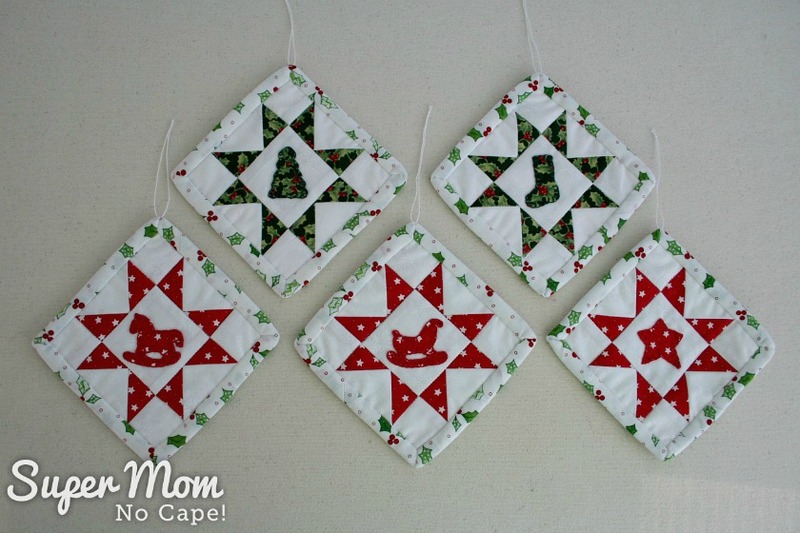 Note: I wanted to make more than one ornament so I bought a fat quarter each of the white, red with stars, green holly, backing and binding fabric. 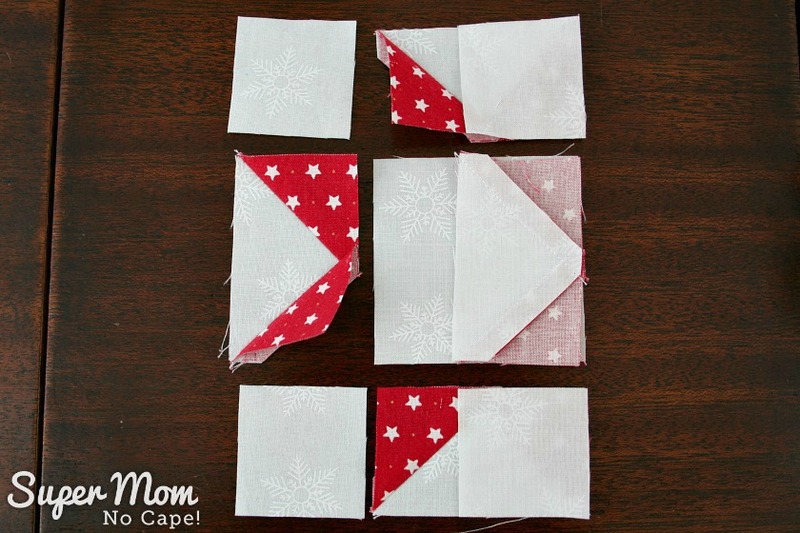 On the wrong side of each of the 1½” red squares draw a diagonal line from one corner to the other. Pin one red square to one white rectangle with the diagonal line going in the directions indicated in the photo below. 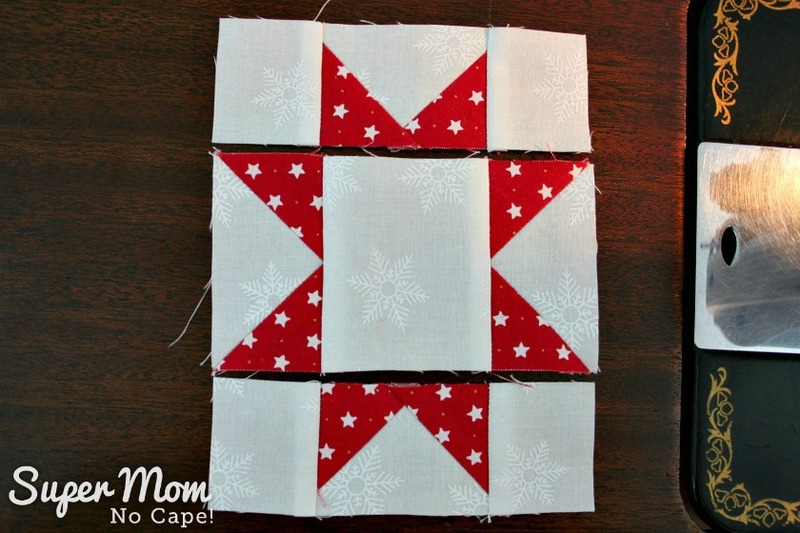 Begin stitching at the bottom left of the rectangle and sew towards the top. 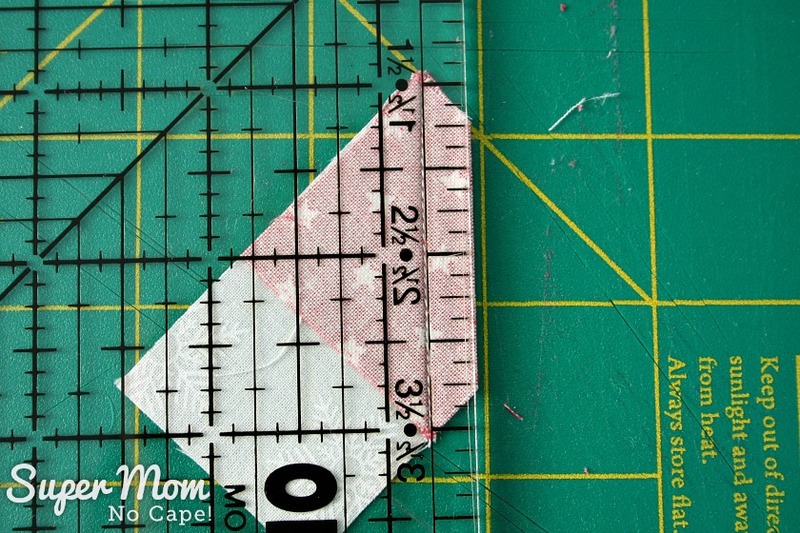 For this seam, you’ll want to stitch just to the right of the drawn line in. If you look closely at the photo below, you’ll see that the needle is going into the fabric on the right side of the line. 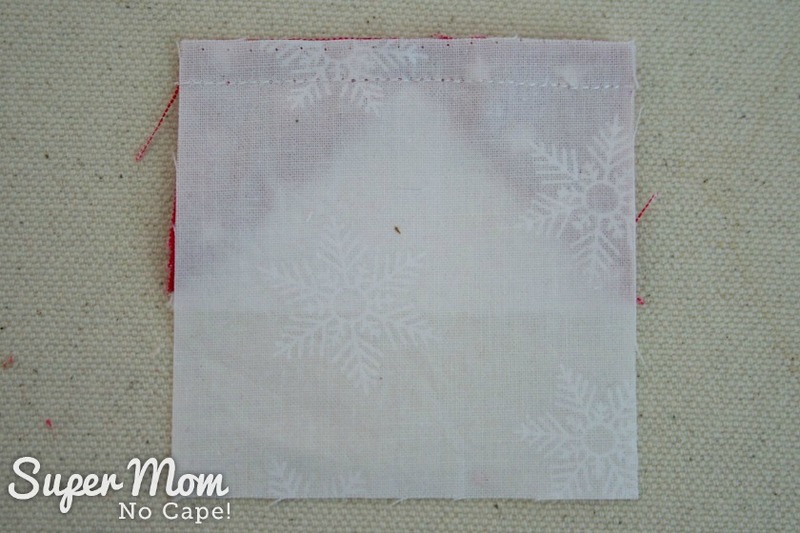 If you stitch directly on the line, when you flip the red triangle up, it won’t be square with the white background fabric. Flip the block over. See that that little bit of red sticking out? If you notice something like that on your blocks… trim it off to keep the block squared up. 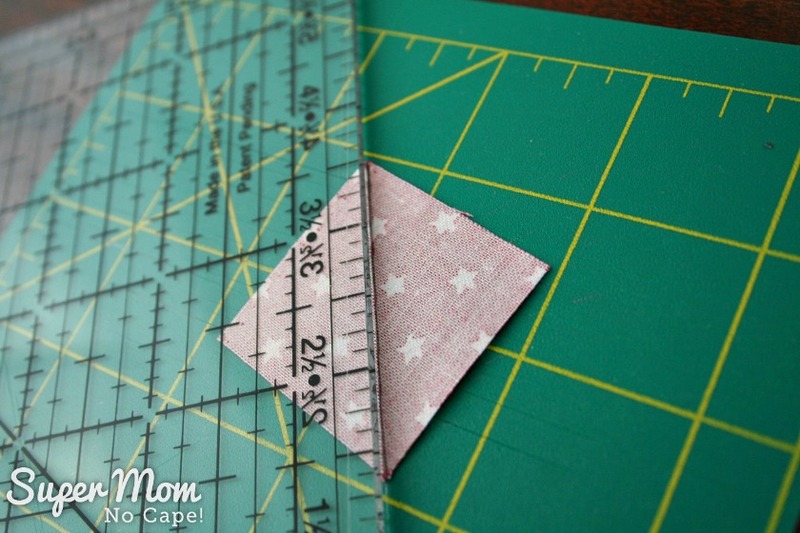 Now that your block is square again, fold the pressed triangle back down and trim the seam allowance to one quarter inch. 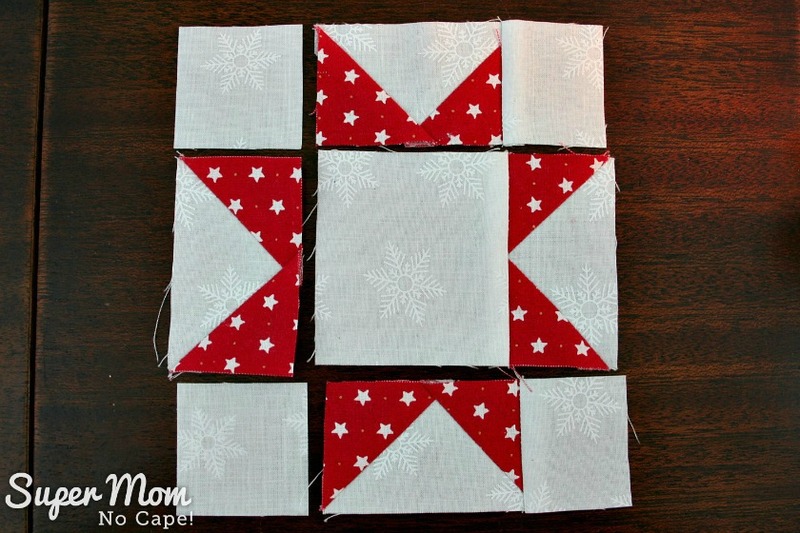 Next, pin the remaining red squares to the opposite corner of the rectangle, with the drawn line going in the opposite direction that you pinned the first 4 red squares. Sew from the bottom right hand corner towards the top of the rectangle. This time you’ll need to sew to the left of the drawn line. Press and trim as previous described. You have now created 4 flying geese blocks. 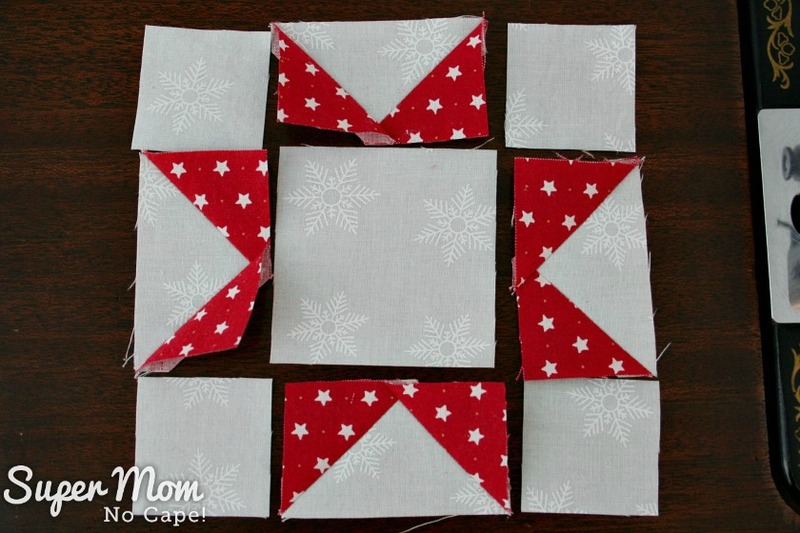 Lay out all the blocks as shown to form a star. Flip the blocks on the right over onto the middle blocks. 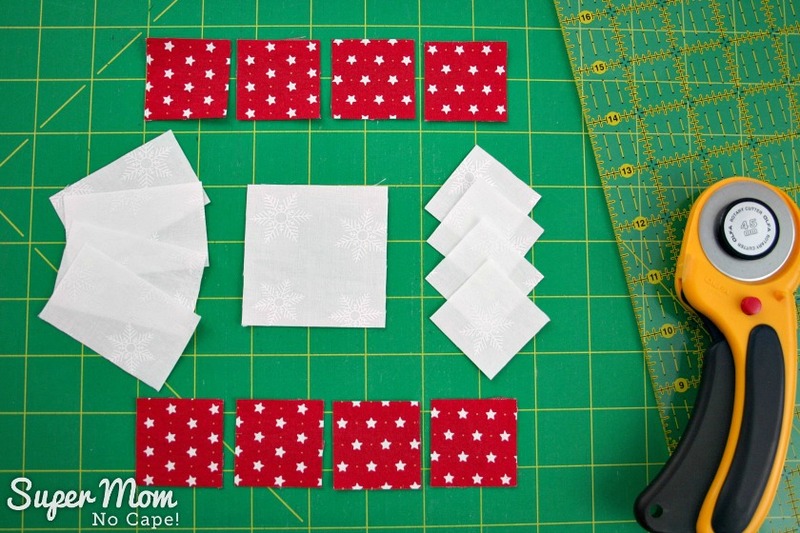 Quick tip: Here’s a little trick I learned in order to avoid cutting off the point of those flying geese when sewing the blocks together. 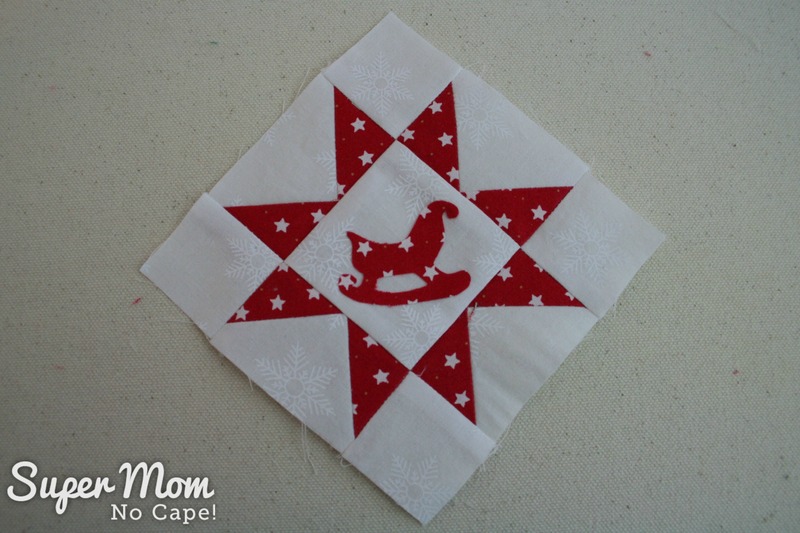 First… sew with the flying geese block on top. See the little arrow in the photo? It’s pointing to where the two seams cross each other. Sew just to the right of that intersection. 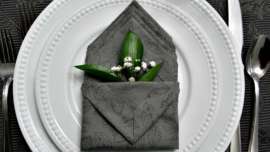 Now usually when pressing quilt blocks you are instructed to press towards the darker color. But in this case I’m going to tell you to press towards the lighter fabric. Flip the white block up and press. Repeat for the other two blocks. Your star should look like this now. 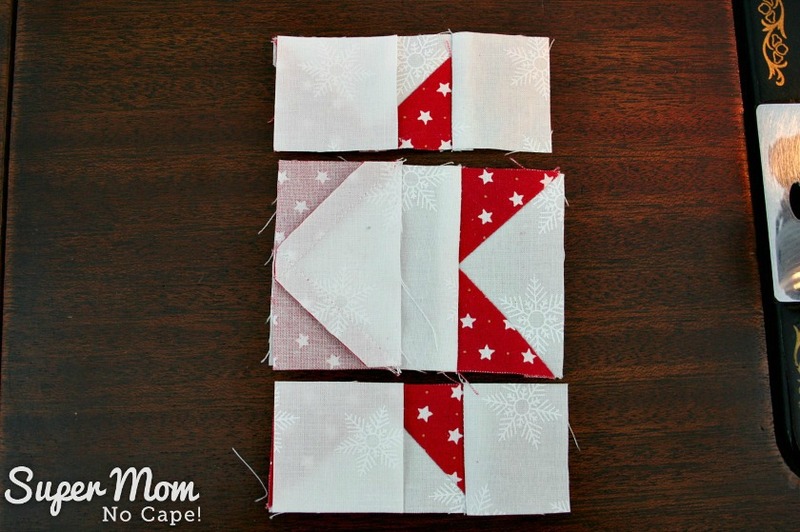 Flip the blocks on the left over on to the center blocks. 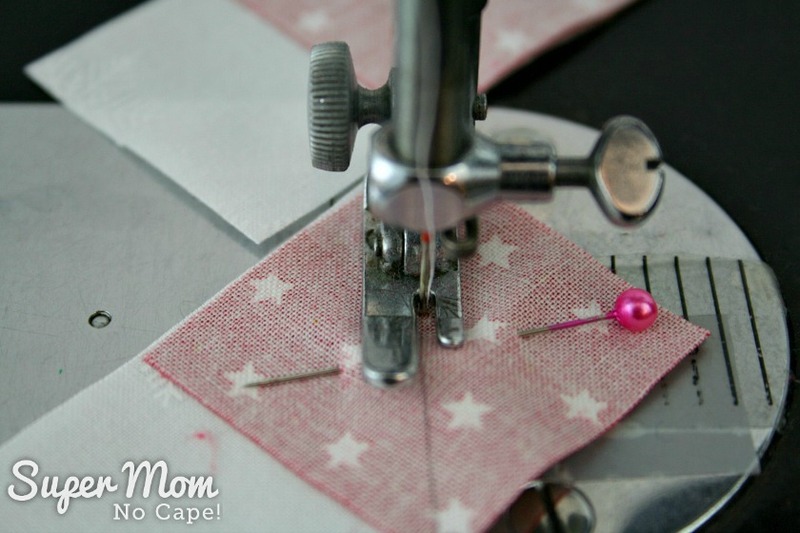 Sew using a ¼” seam allowance. Now you have three rows sewn together. Flip the top row down on to the middle row. 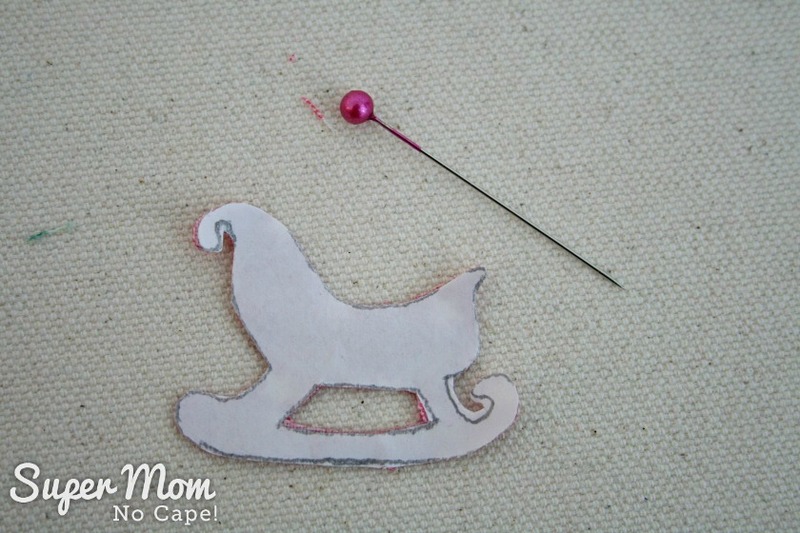 Pin, making sure to nest the seams. 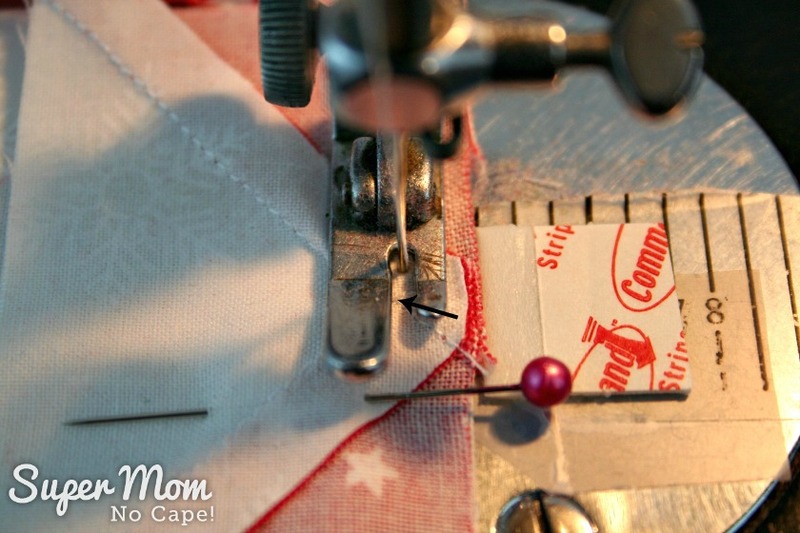 Sew using a ¼” seam allowance. Flip the bottom row up on to the center row. 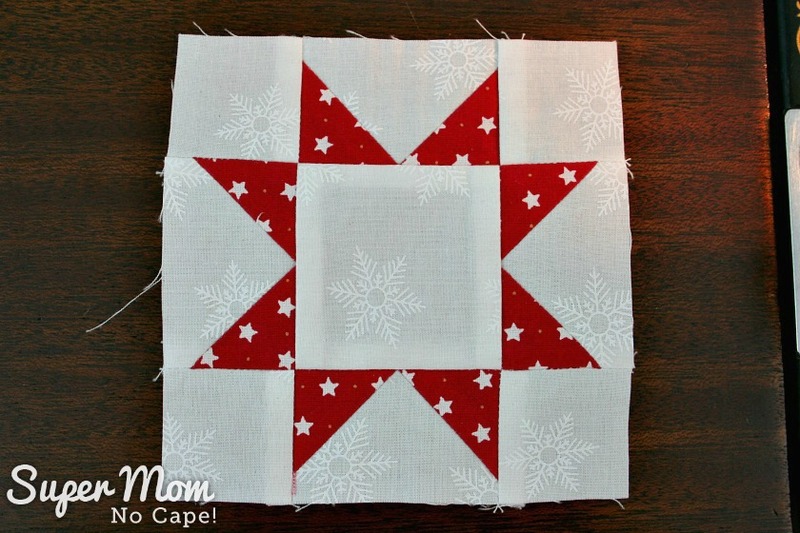 And there you have it… the sawtooth star block is complete. 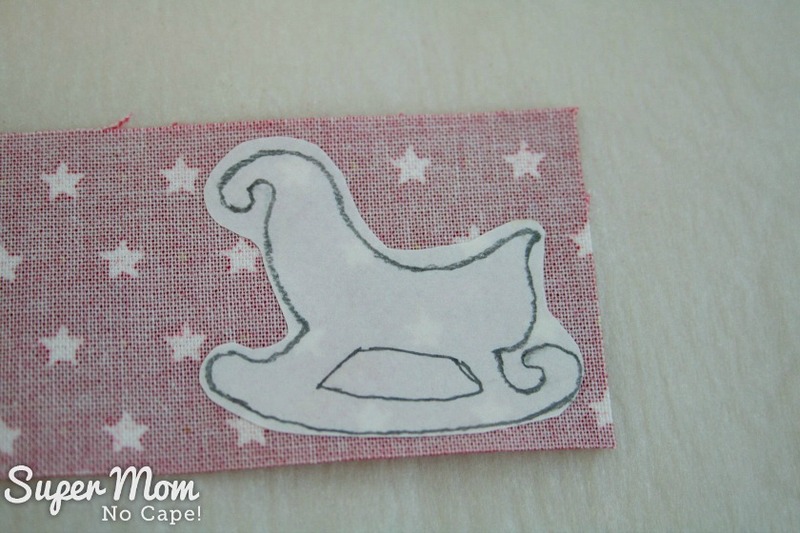 Trace the applique shape on fusible web. I use Heat N Bond Light Fusible Web . For this block I chose the sleigh. 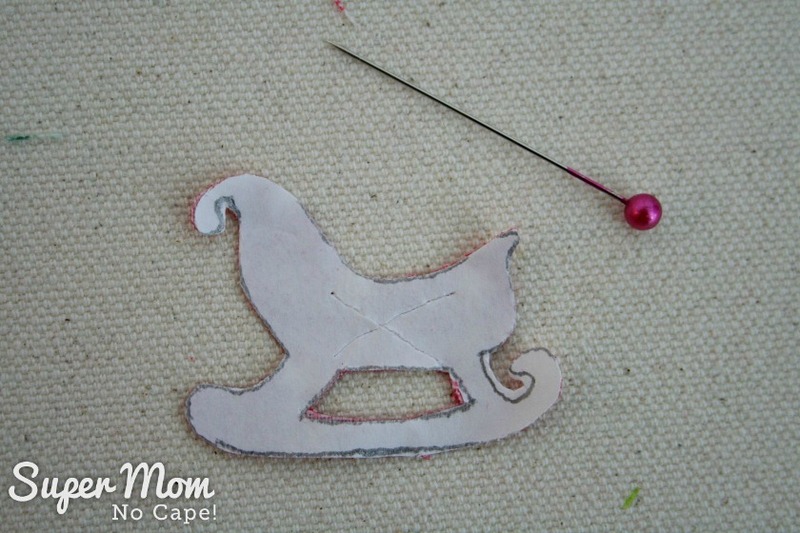 Cut out the applique sleigh leaving a bit of paper around the edges. Fuse it to the wrong side of the contrasting fabric. 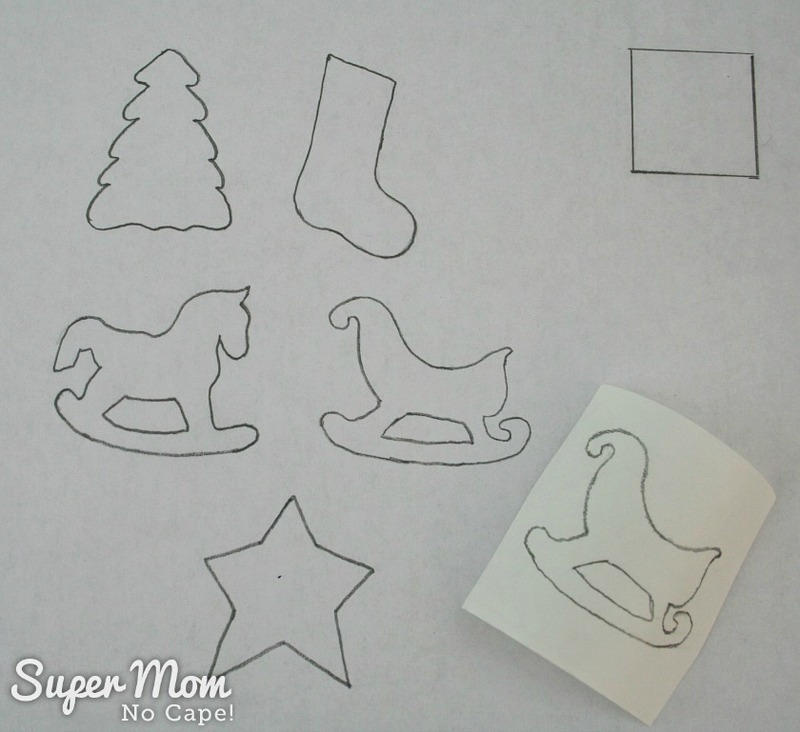 Allow it to cool and then cut out along the traced lines of the sleigh. 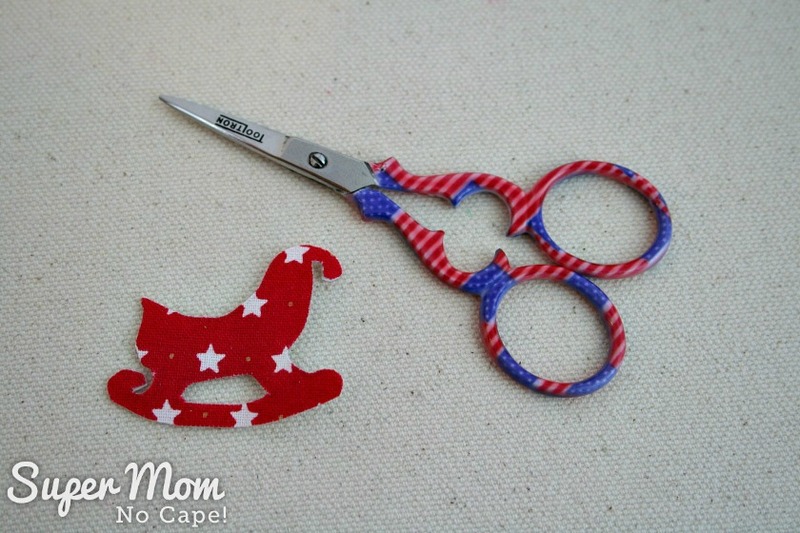 A small embroidery scissors will help to cut around the curves. Scratch a small X in the paper backing. 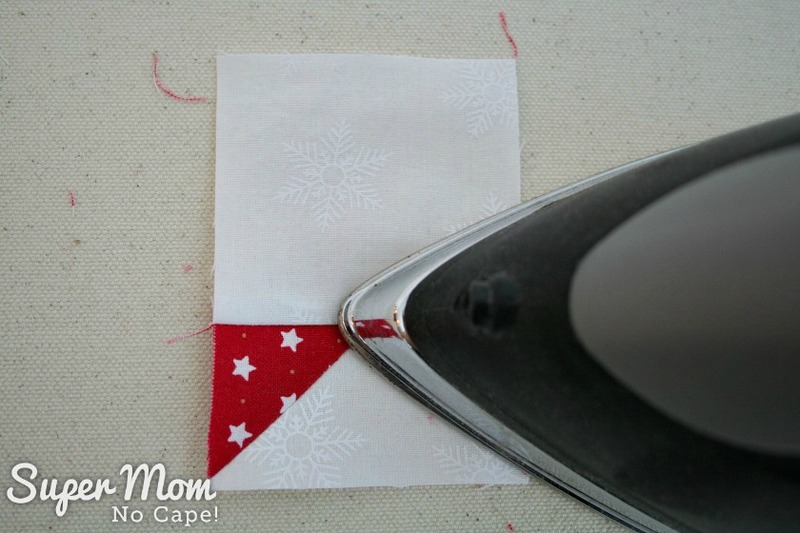 This will make it easier to remove the paper backing without damaging or fraying the fabric. 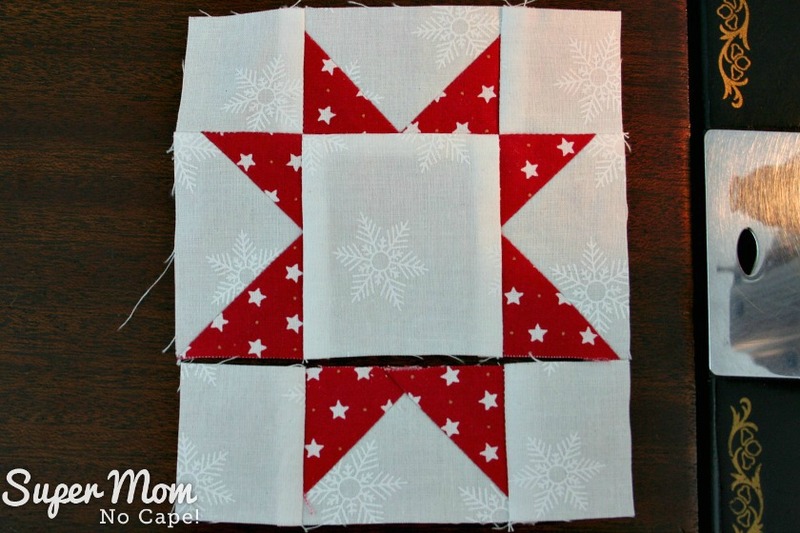 Place the sawtooth star block on point and fuse the shape in place. 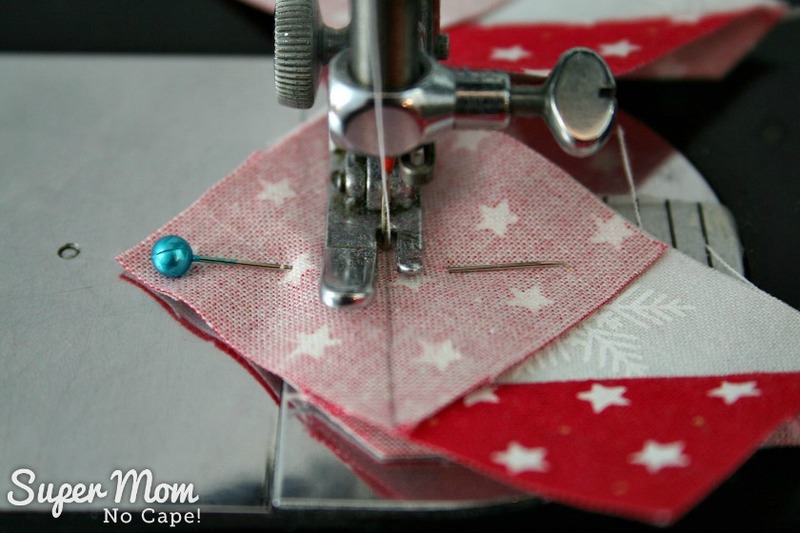 Blanket stitch around the applique shape. 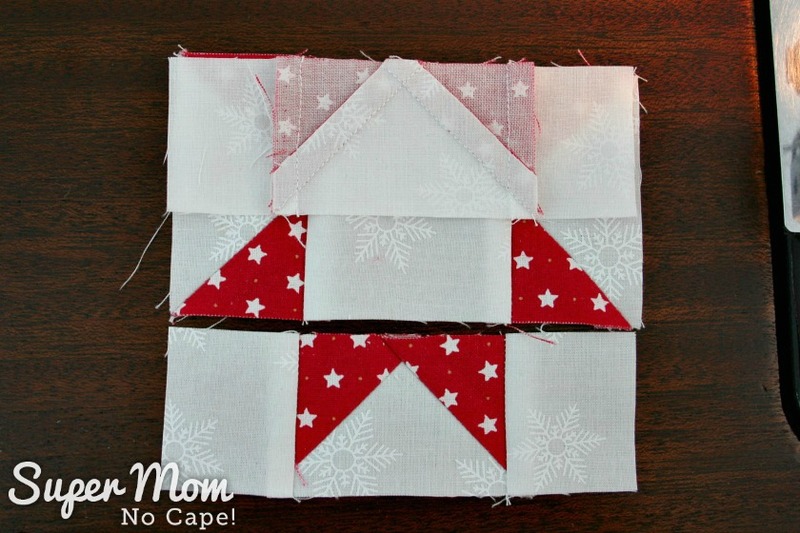 I chose to do this by hand but feel free to use the blanket stitch on your sewing machine if you prefer. And if you prefer to do neither, use Heat N Bond Ultra instead of the Heat N Bond Lite for the fusible web. 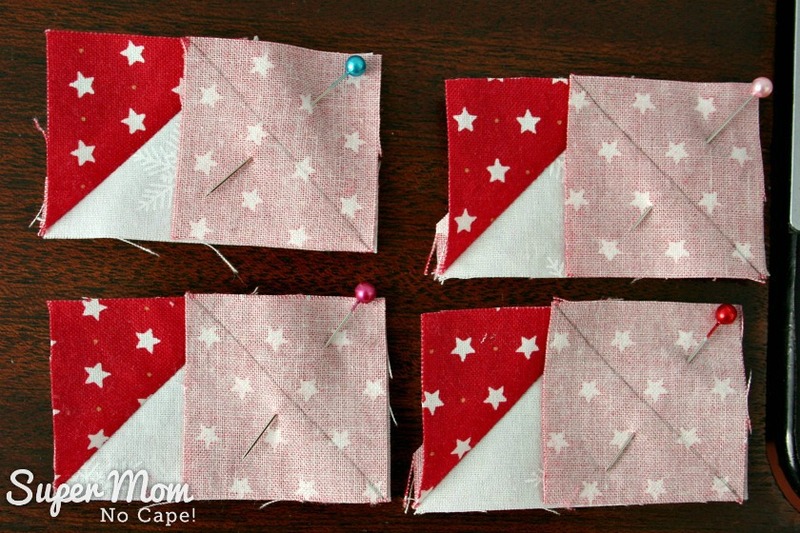 Pin the block to the batting and backing. Quilt as desired. I did a simple stitch-in-the-ditch. 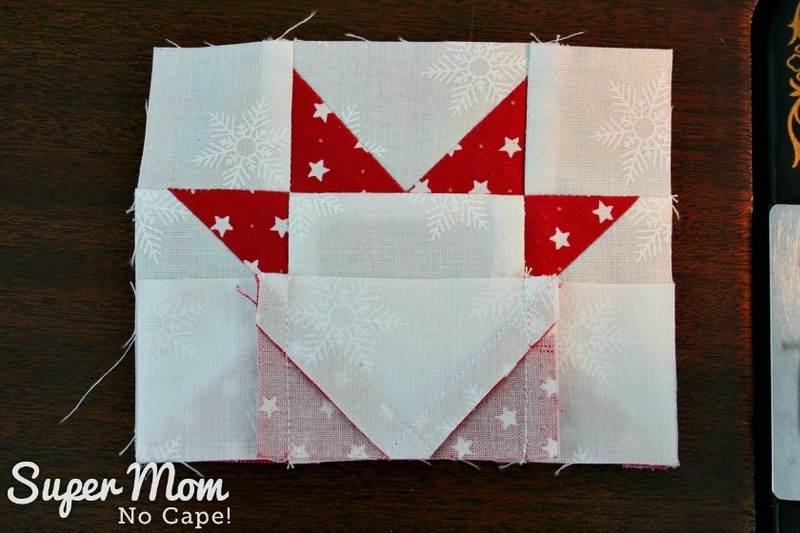 Trim and square up the block to 4½”. 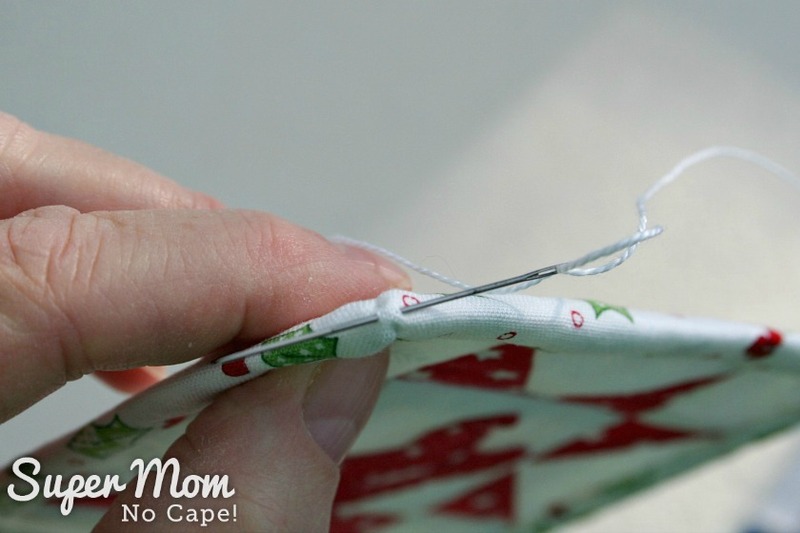 Sew on the binding using your preferred method. 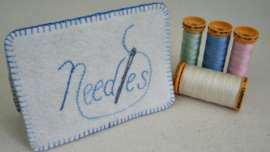 Thread an embroidery needle with #20 Pearl Cotton Thread and add a hanging loop in the top corner of the binding. I made 5 ornaments in total. These three were mailed off to my partner, Nicki as I felt that they turned out the nicest. And the other two will go on our tree this year. 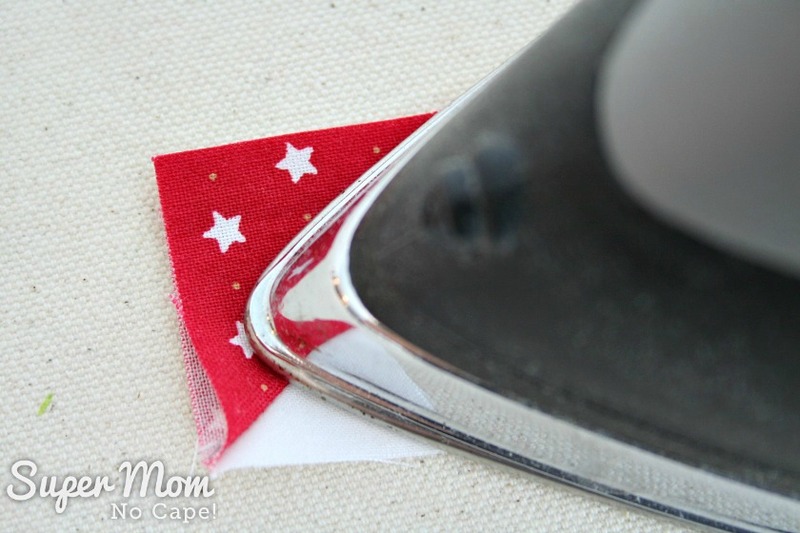 I hope you enjoyed this tutorial and that you’ll give making one (or more) Sawtooth Stars Ornaments a try. 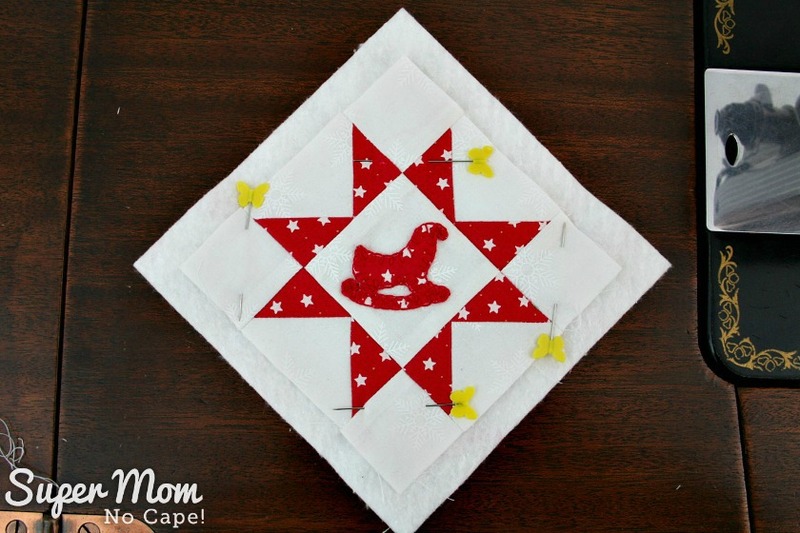 Want a downloadable copy of this tutorial complete with the applique patterns? If you make some, please post it on your favorite social media and be sure to tag me. I’d love to come see. On Instagram I’m @supermomnocape, @1SuperMomNoCape on Twitter and @1SuperMomNoCape on Facebook. 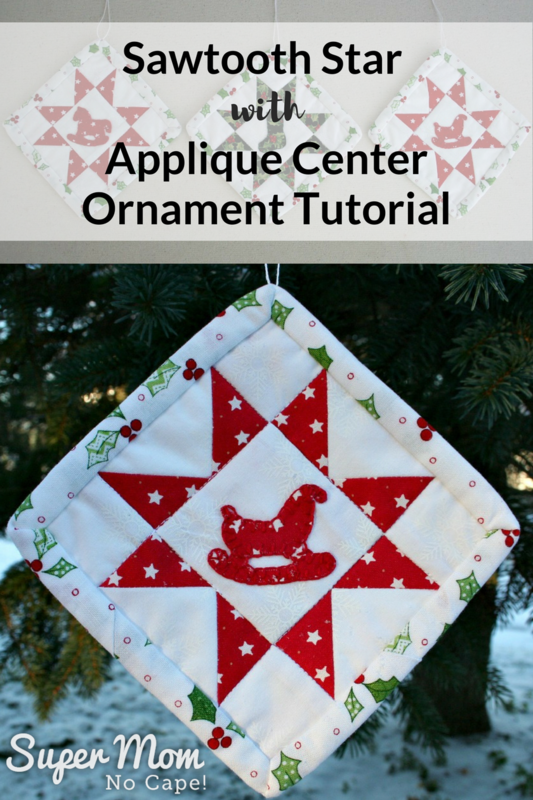 Save this Sawtooth Star Ornament with Appliqué Center Tutorial for future reference please click on the Pinterest button underneath the post. Oh Susan! 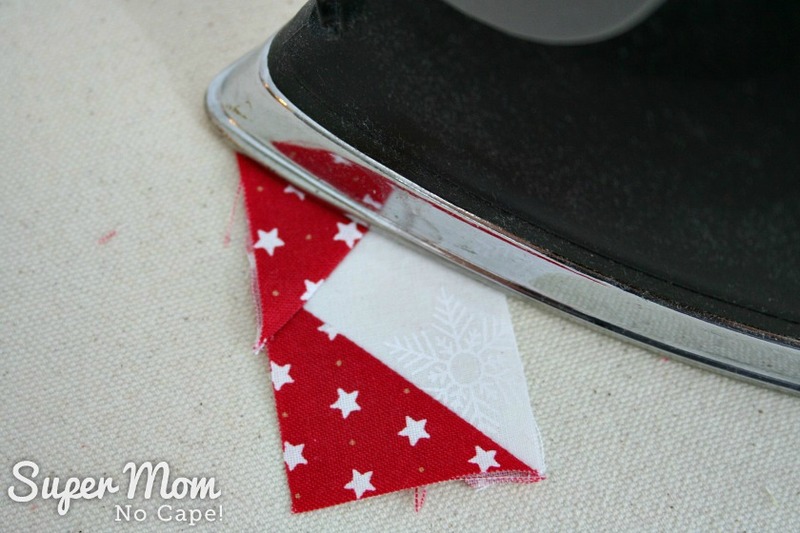 These little quilted ornaments are just the cutest things! 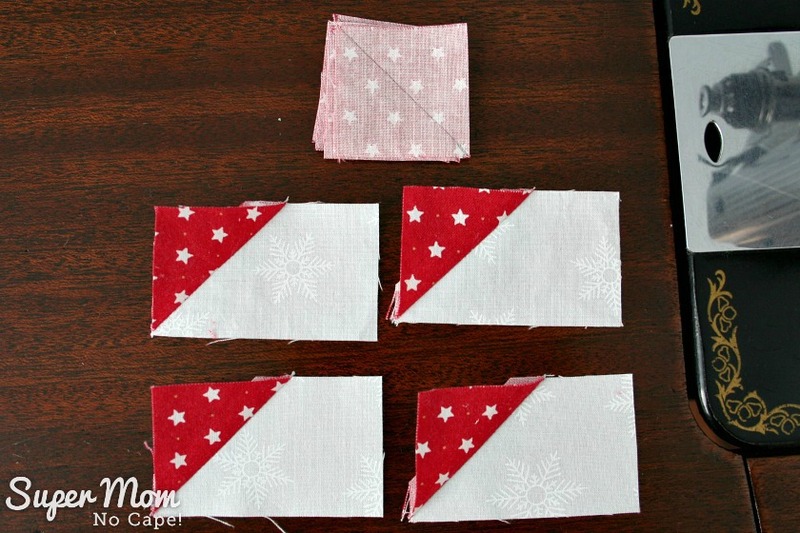 I just might have to make one….. but which appliqué to choose??! I think perhaps the rocking horse….. but what a lovely dilemma to have. 🙂 Thanks for such a wonderful tutorial. Susan, these are beautiful!! Thanks so much for the tutorial. Small pieces are a challenge to me but I keep trying. Thanks you so much Kate! Small pieces can be a challenge. I find the key is just to go slow and while I know not everyone does, but I like to pin. It helps to hold things in place. Oh these are so very cute. You did a wonderful job. Those are so cute. I like the little applique in the middle. Thanks for the tutorial. Thank you Rachel. This was a really fun exchange to take part in. In addition to my partner, I discovered some really cool blogs and bloggers. These are adorable! “Cute” is the perfect word as others already said, hehe. Thanks for sharing tge tutorial. They are on my list to make this month. Love to make a new ornament each year for gifts. Thank you Joy! Making them bigger to use as potholders is a great idea! I love your ornaments! 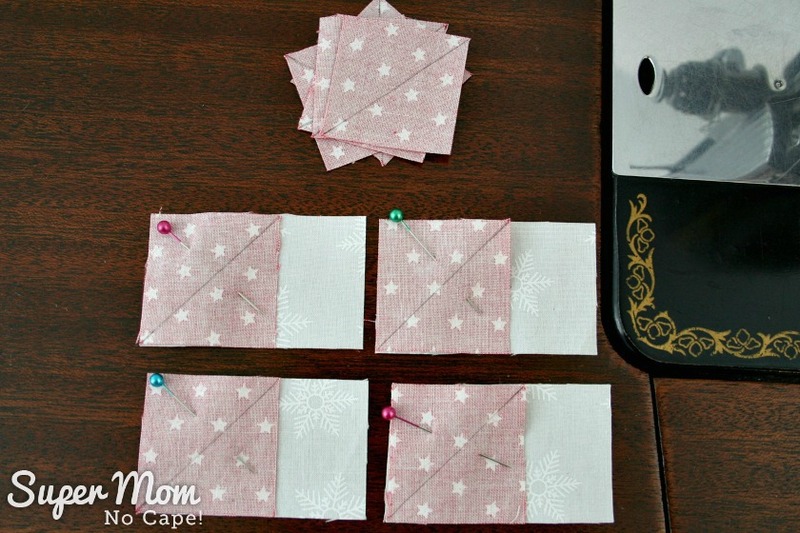 I’m pinning to make some for myself! These will look perfect on my tree! Thanks so much Roseann! I’d love to see photos of them! These are so cute! Pinned. Thanks so much for your lovely comment and compliment Evija! How cute these are. The detail work is so amazing. They look great. What a sweet compliment, Debra. Thank you! I know this took a bit of time to make since everything is tiny. Such a thoughtful and beautiful ornament. Thanks for sharing your tutorial on the #2017OrnamentExchange. Thank you sooo much Erlene for your lovely compliment! And thank you too for all the work put into organizing the ornament exchange for all of us. I can’t wait to take part again next year! This is wonderful. Not only do I get some great tutorials, but I also have several more blogs to explore. 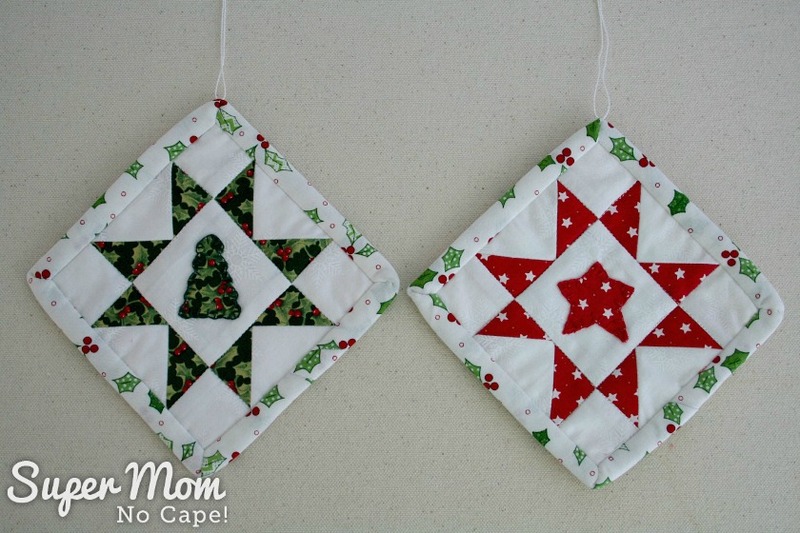 At first I thought you were making potholders, but these little star ornaments are really pretty. I think I have enough fabric (LOL) to make a few of them. 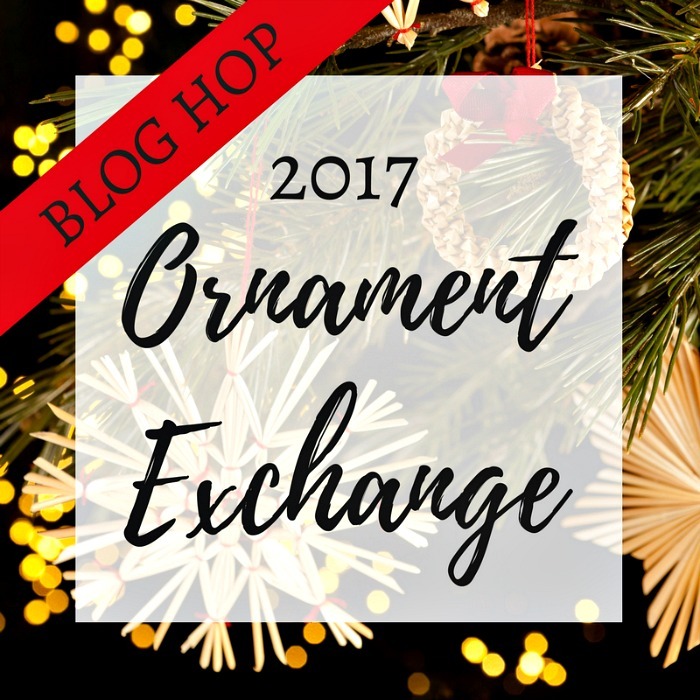 The ornament exchange was so much fun to take part in and you’re right, it was fun to discover new blogs to explore. I’ve already added lots of ornaments to my must make list in the new year. 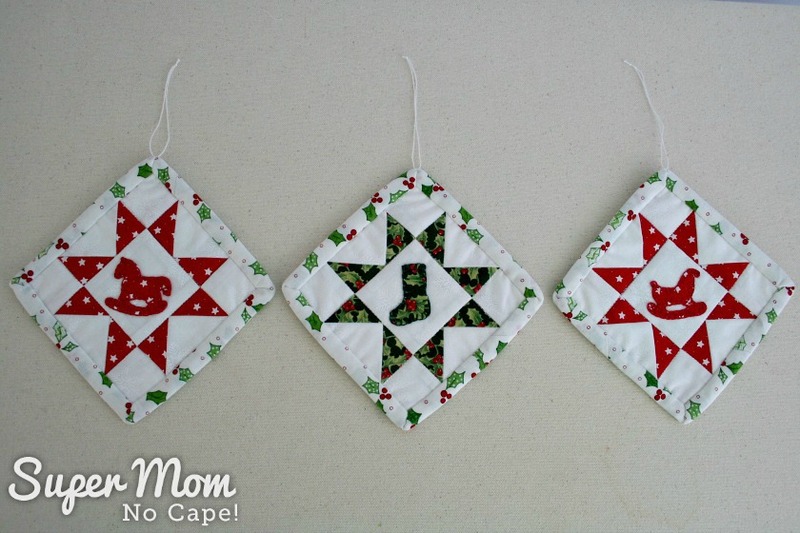 These are so pretty, and I love the appliqué shapes you added to the centers! These are lovely! The detail is amazing. I love the rocking horse. I’m sure your partner loves them! Thank you sooo much Beverly! The rocking horse is my favorite and I’m going to be making one for our tree too. I am in awe of your sewing skills and what you created! Great tutorial…and I love your blog’s name…haha!! Thanks so much Debbie! What a sweet comment and compliment! That looks so elegant and beautiful! Thank you so much Hil! I loved see all the ornaments in the ornament exchange too. So many of them went on my must make list.